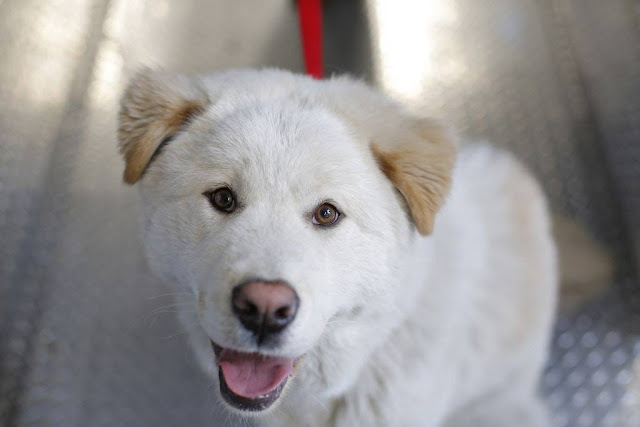 White Wolf : 55 pups rescued from dog meat farm are all getting a second chance in U.S.
55 pups rescued from dog meat farm are all getting a second chance in U.S. Earlier this year, Humane Society International (HSI) discovered a dog meat farm in Goyang, South Korea that had everyone on the rescue team appalled in disbelief. While most dog meat farms keep dogs outside, the 55 dogs found at this particular farm were all kept in filthy cages in a basement-like room without natural light or fresh air. Through the beams of their flashlights, the HSI rescue team saw the desperate eyes of these sweet pups begging for help. Thanks to the dedication of HSI, these lovable pups are now safe and sound in the U.S. ready to be adopted by their forever homes. 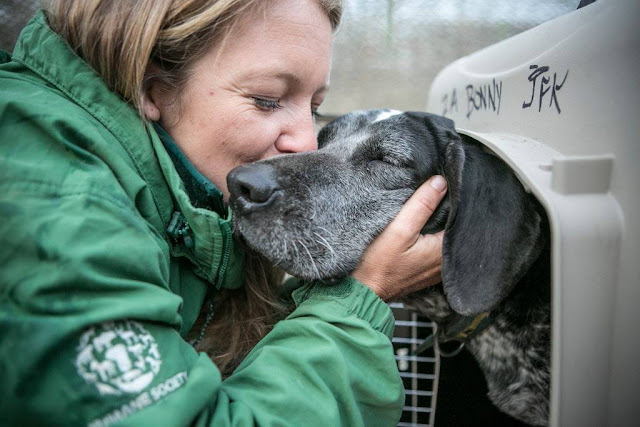 These rescued dogs are now being given the love and kindness that they deserve, and the looks on their gentle faces show just how much they appreciate their rescuers. These dogs are being sent to a number of shelters across the United States. If you are interested in adopting one of these adorable pooches, please visit the HSI website for a list of shelters who are involved in this rescue process. 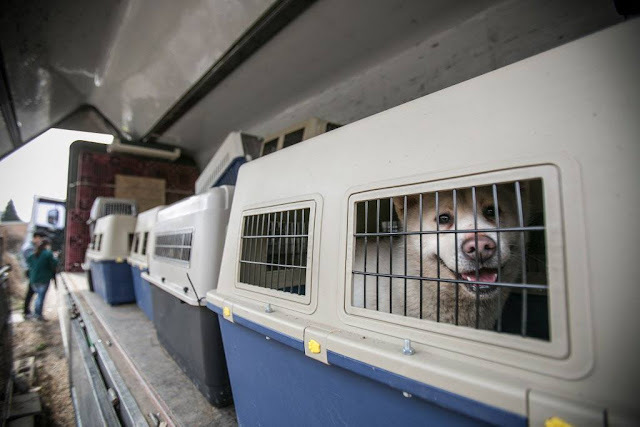 HSI’s Adam Parascandola, director of animal protection and crisis response, said: “These dogs have lived their lives so far in deplorable conditions, so we’re all really excited to be getting them out. Most appear to have had little human contact and many of them are understandably very frightened of people, cowering as we approach and trying to hide in corners. But we know from experience that once we take them to a safe place and they feel secure and loved, they’ll learn to trust. Responses to "55 pups rescued from dog meat farm are all getting a second chance in U.S."